From Dubai to Milan with Kinder Plus Sport. This project was developed with the purpose of launching the CSR Kinder Plus Sport initiative for the MEA market in conjunction with Expo 2015, creating a bridge between Milan and the next hosting city Dubai. We worked with Filmmaster MEA and Ferrero in the promotion of daily physical activity as a healthy and fun habit among children. 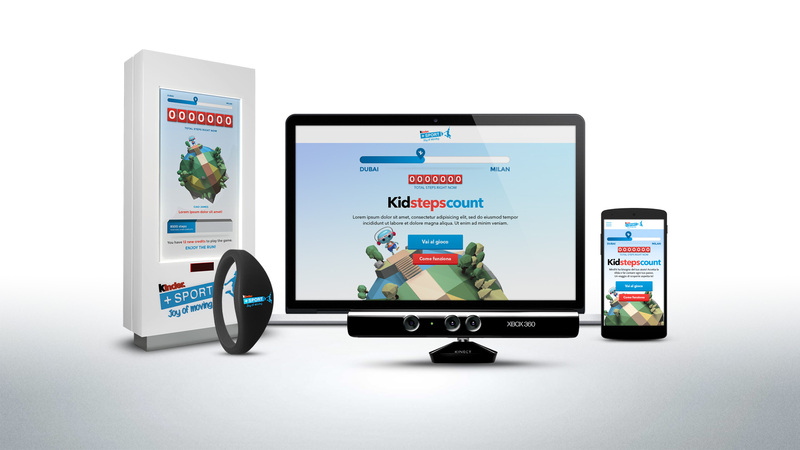 We designed and developed an engaging, innovative and multi-channel experience driven by the main concept “kids step count” which brought together schools in Milan and Dubai and invited children to close the distance between the two cities by their steps. In order to get children involved during every moment of the day, when they are both offline and online, we have created an eco-system of touch-points including NFC bracelets, interactive kiosks and a dedicated web-game. All the children were equipped with a NFC step-counting bracelet which monitored their daily activity. Everyday the children were asked to download their collected steps to the interactive kiosk at their school, each one contributing in order to reach a common goal. The kiosks were connected in real-time permitting constant reciprocal updates. This allowed a greater level of engagement among the users, creating a common sense of teamwork and participation. To motivate students, each one received personalised animated visual feedback based on their individual results. 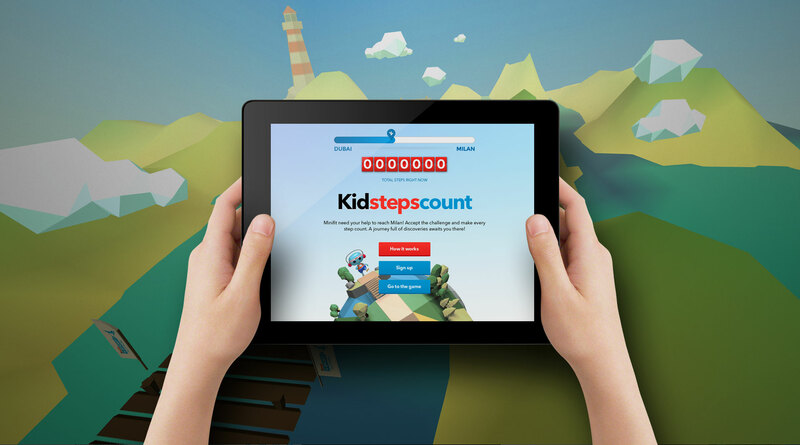 The steps collected in real life become credits to use in the official online game Kids Step Count. 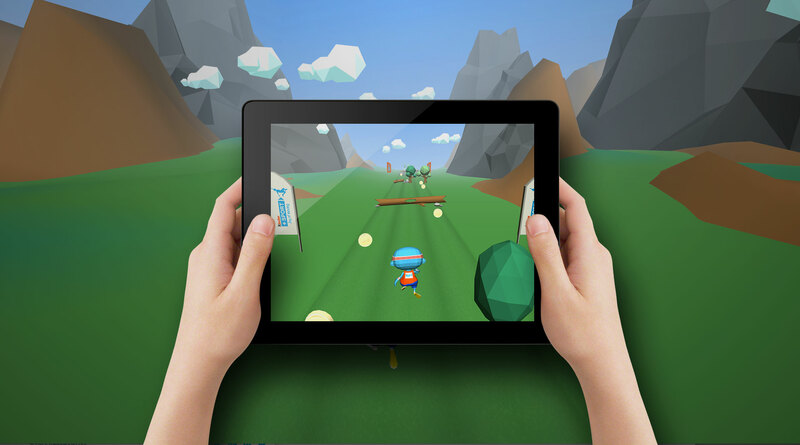 We have created from scratch a custom made html5 3D multiplatform endless running game, developing all aspects of the project, from the concept, modelling and animation of the character and different environments to the sound design. 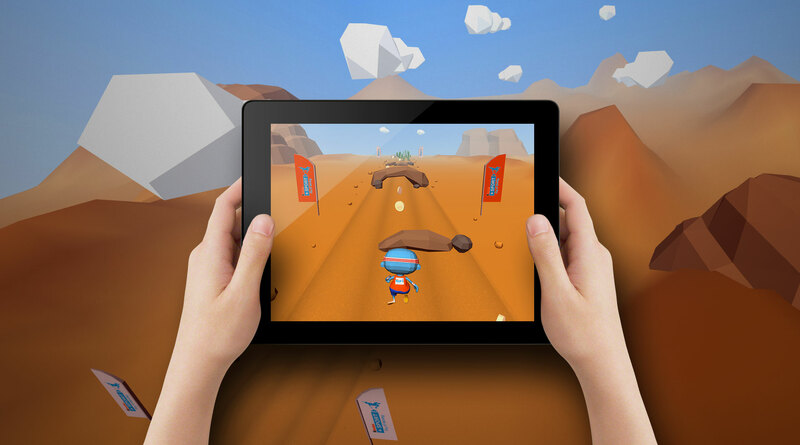 The game was developed to be played on all devices using webGL technology. To celebrate the end of the initiative the client asked us to create a digital installation at the Milan Expo 2015. We transformed the game into a physical interactive installation permitting a multiplayer experience and connecting in realtime the Ferrero pavillon at expo and schools in Dubai. The installation allowed the children to move together in the same virtual environment despite their distances. 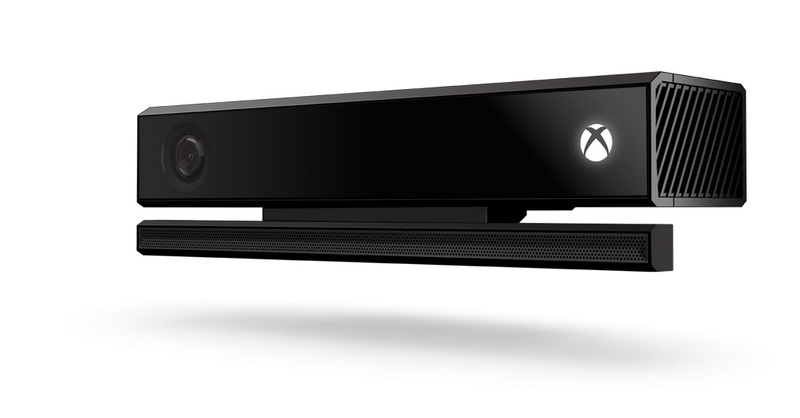 By using Kinect sensor the children became the controllers of their digital avatar movements in the game.